A Day Dreamer's World: Into Autumn Book-Haul! Summer is far behind us and the new school term isn't really so new anymore. The piles of homework have final become large enough to drown in, and GCSE's and Coursework is all you seem to hear about. Not mentioning, a lot of new books to escape it! * Shows I received it for review. 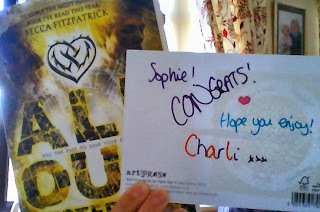 I won a giveaway from Charli over at To Another World, so a huge thank you for this! 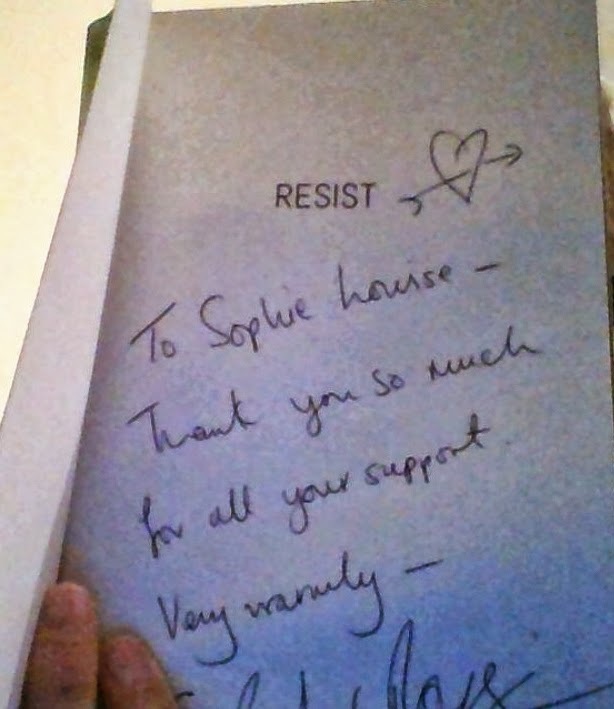 It also came with a little-note inside that I'm going to keep inside the book! I've had it for a few weeks now, but the premise sounds so interesting! I've only ever read one other time-travel novel, After Eden by Helen Douglas and loved it, so I have high-hopes for this one! even more gorgeous than I thought it would be! I'm currently reading it and couldn't be happier to be back with Harriet and Wilbur. Thanks to Harper Collins for providing me with this! 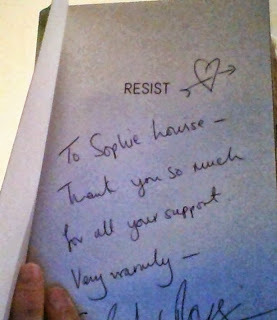 I won a signed copy of this in a giveaway Sarah Crossan held on Twitter and when I saw the package and turned the first page to see what it said, I was so happy! I'm a huge fan of the first book in the series, 'Breathe' and feel very lucky to have a copy on my shelf. It also has a very eco-style cover, reflecting the ideas in Breathe. I also received another copy of this for review and will probably end up giving it away when I post my review of closer to publication! I've been really lucky lately with giveaways, and when I saw a tweet about winning this book I thought it was worth a try. I was shocked to hear I had won, and until it came through my door I hadn't even read the synopsis. Even so, this is something I wouldn't usually read but, I think I'll enjoy the vintage-style it seems to have. Thanks to Laura for sending me this! I've heard this novel is fantastic, and I've literally just finished writing a GCSE Speech about locking three things in the fictional Room 101 - which is from the novel. Obviously, I'm really curious to see what it's all about so, I decided to give it a go! Hopefully, I'll enjoy this a lot more than my other attempts with classics! If you read the synopsis, you'll have a pretty good idea towards why I picked this up! It is definitely along the lines of a John Green novel, and I'll probably end up needing tissues! What have you got over the past few weeks that have cheered you up as the cold weather begins to hit? One of my ABSOLUTE FAVOURITES! Love, love, love it! You should take it slow and savour every last word - treasure the experience of reading it for the first time! Oh and try not to get nightmares haha... the dystopian society is pretty much as dystopia as possible! It's seriously a must-read for all bloggers as it is basically the foundation of so many dystopia novels. I loved All Our Yesterdays and hopefully you will like it too. Seems like you got a good haul! Lovely haul Sophie! I find time zones and different seasons all so strange because us Aussie's are in mid spring. Ahh how I miss Autumn. All Our Yesterdays was amazing, I hope you enjoy it! 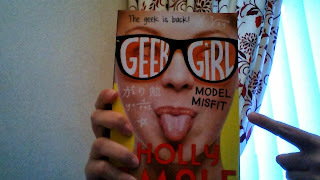 And yay for Geek Girl! Its good when a book youve waited ages for lives up to expectations :D I bought It's kind of a Funny Story a while back so be interested to see what you think! I loved All Our Yesterdays and I'm so jealous of Model Misfit!!! I'm getting a copy this weekend! 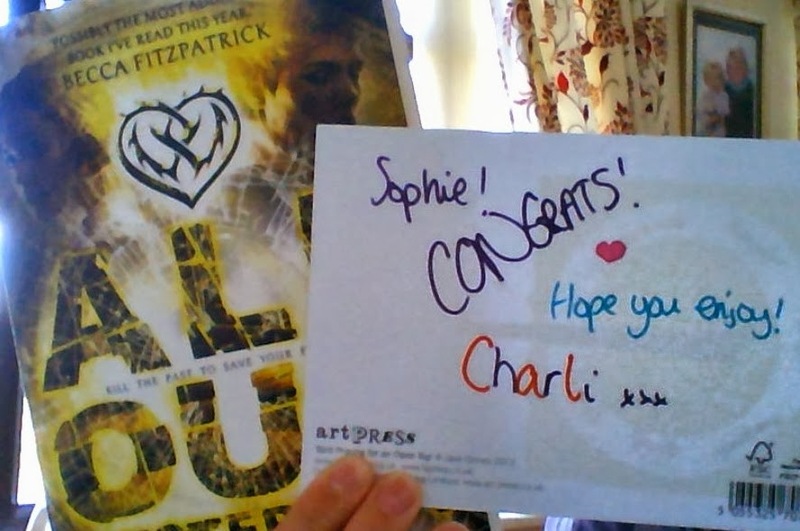 Wow, you've certainly been lucky with giveaways lately Sophie. I want to read 1984 as well, tell me what you think! ooh, and 1984! *squeal* I really enjoyed that, it's a brilliant dystopian that a lot of dystopian books are based on. It's so cool!